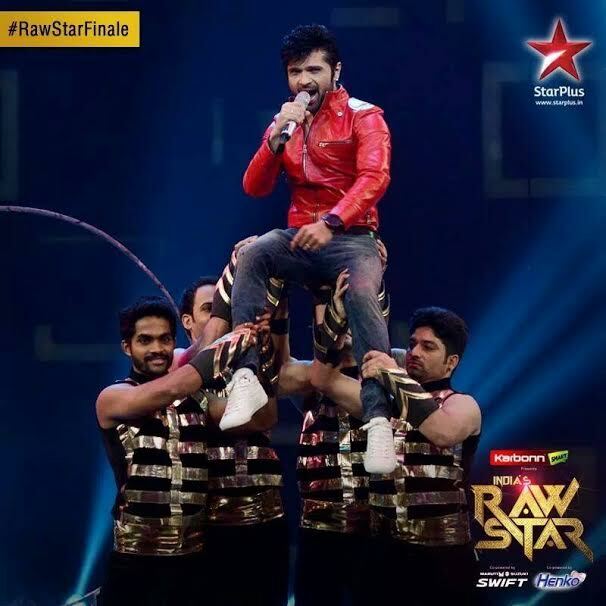 India’s RAWStar – Grand Finale! Last Sunday saw the grand finale of the popular musical reality show India’s RAWStar on Star Plus. The episode started with a recap and highlights of the previous 14 weeks. The shows original mentor YoYo Honey Singh also featured in the highlights. The show opened with the finalists Darshan Raval singing ‘Mast Magan’ from 2 States, Rituraj singing ‘Arz Allah’ from Bhaag Milkha Bhaag and Mohit sang ‘Tharki Chokro’ from PK. The three of them then sang ‘Indiawaale’ from Happy New Year. Before host Gauahar could begin her introductions, a very “irritating” Rithvik Dhanjani made his appearance as a so-called ‘manager’ of artists. He made many such appearances throughout the grand finale! Mentor HR was in his true rockstar form, wearing a red leather jacket and blue jeans. The first half of the finale featured the ex-contestants of India’s RAWStar. Mohan and Pradip performed in their Bhojpuri and Punjabi dialects alongside special guests Manoj Tiwari and rapper Badshah. The focus then turned to the special guests of the grand finale: Mohit Chauhan, Shaan, Manoj Tiwari, Sachin-Jigar as they had all collaborated together on a special song for the Swachh Bharat campaign (clean India). Some of the female contestants from the show had also contributed to the song. Mentor HR praised Sachin-Jigar for the current hit music they are giving to Bollywood and Sachin said they are very inspired by Himesh when they are composing. The audience then enjoyed a performance from the female contestants of RAWStar (Mansheel, Akasa, Mini & Deepti) with Badshah. They all sang ‘Saturday Saturday’ from Humpty Sharma ki Dulhaniya and ‘Abhi Toh Party Shuru Hui Hain’ from Khoobsurat. Next it was time for RAWStar finalist Mohit Gaur to perform with Shaan. They performed together a medley of ‘Ye Chand sa Roshan Chehra’, ‘Woh Ladki Hai Kahan’ and Mohit ended the performance in his usual style with ‘Aao Na’ from Haider. It was then noted how Shaan and Mohit both have very similar personalities. Mohit’s grandfather had come on the show to support his grandson. Next to perform were Kailash Kher and finalist Rituraj. They both sang ‘Tu Jaane Na’ from Ajab Prem ki Gazab Kahani and then Rituraj sang ‘Bhavre’ from Luck by Chance. Kailash Kher praised Rituraj and mentor HR said that Rituraj is a very deserving candidate for winning the finals. Mentor HR then introduced host Gauahar’s performance as a ‘Gauahargeous’ performance! Gauahar performed on the following songs: ‘Lovely’ from Happy New Year, ‘Kamli’ from Dhoom 3 and ‘Yaar Na Mile’ from Kick. Ex-contestant Jeffrey Iqbal and finalist Darshan Raval also joined Gauahar on stage for a dance. Special guest Arjun Kapoor then arrived to promote his forthcoming film Tevar. The films music directors Sajid-Wajid were also welcomed on the show. It was then time for Darshan and Mohit Chauhan to perform together. Mohit sang Darshan’s own composition ‘Pehli Mohabbat’. They both then sang ‘Tum Se Hi’ from Jab We Met. Darshan then ended the performance with a very unique version of ‘Tu Mera Hero’ from Desi Boyz. Mentor HR then reminded all at how Darshan has composed such a love song at such a young age. Wajid praised Darshan for this and felt that he definitely has a very bright future ahead of him. Then came the last final face-off between all three finalists. This face-off was composed by Sachin-Jigar. Darshan, Mohit and Rituraj performed on songs such as ‘Ye Ishq Ishq’, ‘Na Toh Caravan Ki Talaash Hain’ and ‘Kajra Re’. Darshan also rapped during a small portion of the face off which was appreciated by all. 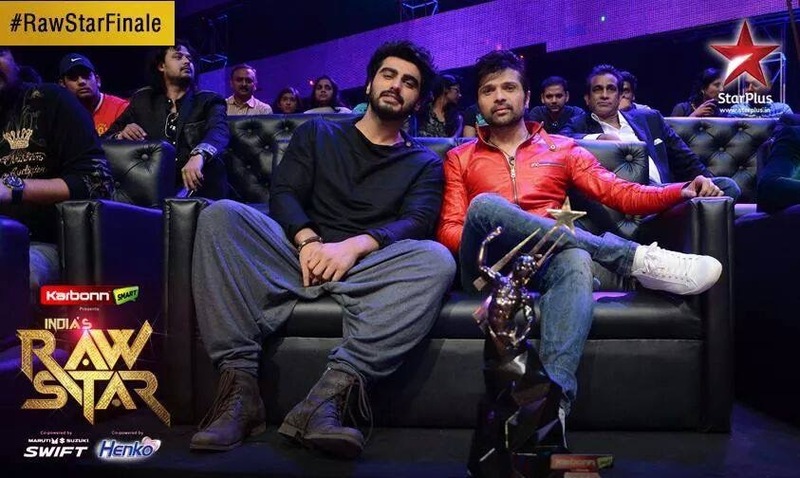 Before the results were to be announced, Team Tevar took their leave. Mentor HR said that he has an emotional connection with all three contestants and all three are brilliant and deserving. HR then bought the trophy on stage and the results were announced: Rituraj Mohanty became the very first India’s RAWStar! Rituraj won prize money and a recording contract. We hope you all enjoyed our updates of India’s RAWStar! Stay tuned with BollySpice for all updates.